It’s not going to work miracles but it will slough-off tired old skin, lighten dark spots and give you a fresh even tone. I do a chemical peel at least once a year to diminish lines and even out the overall look of my skin. When I take photos of myself and publish them online, I’m typically already wearing a foundation/powder. I have an un-even skin tone due to my freckles and some sun-damage I experienced in my youth. Use caution if you try this for yourself at home. 8% is plenty high but some opt for a higher percentage to even out hyper-pigmentation. If you’re not careful you can actually cause it using TCA. This is an acid. I recommend doing a patch test before you apply it to your whole face. You can pick up an 8% solution online or where fine cosmetics are sold. You can read reviews and watch videos for days but rule of thumb: Everyone’s skin is different. Start with the lowest % possible, you can always apply secondary layers and re-peel in 6 weeks. 1) Pin your hair back with a head band. Wash your face, swab with a cotton ball dipped in rubbing alcohol. Allow to dry. 4) Stroke the brush along your face (from forehead on downward), avoid eyes, nose, and corners of your mouth. 7) Set your timer to 10 minutes. If it’s your first time and you experience painful burning, 5 minutes is suggested. While the TCA is on your face and drying, mix [1 part] baking soda to [2 parts] water to make a solution to neutralize the acid. Mixing this stuff in a drinking glass is fine. Most TCA is self-neutralizing but in the event you are experiencing a deep burn, or pain the solution will fast-track neutralizing. It’s also cooling to your face. Seeing a red ‘sun burned’ look is normal. Areas with the roughest patches will ‘Frost’ and may freak you out a bit if you’ve never done this before. No worries, the look of the frost will go away after you shower and moisturize. I typically experience frosting above my eye-brows, cheekbones chin and nose. Ideally where you get the most sun on your face. After your timer goes off, just rinse your face with the baking soda solution and wash with a mild cleanser. I favor Cetaphil, it’s gentle and rids your face of all impurities. Pat, don’t rub dry. Use a gentle towel that isn’t too rough. I immediately rub a bit of the coconut oil on my face. It absorbs pretty quick and doesn’t give you that oily look that Vaseline does but you can certainly use that if you don’t have any coconut oil on hand. Redness is normal. I took this right after I rinsed and it lasted about an hour, so don’t panic. As you can see by the red line, I avoided my jaw-line with the brush. That area tends to stay red a little longer than I’d like so I just avoid it all together. I also avoid my eye sockets but try to hit my high cheek bones where I have both a saturation of freckles and sun-spots. This is what gives my eye pits that ‘brown’ tired look. While the TCA will lighten them, I’d have to go pretty deep (or opt for laser removal) to get rid of them entirely. In this lighting you can see my freckles under the cheek bone as well. These lighten up pretty good and become virtually invisible under my foundation. As I mentioned, I typically frost above the eye brow, cheek bones, chin and nose. This time around it was isolated to my cheek bones and brow area. This should give you a pretty good idea of what a ‘frost’ looks like. This whitish looking skin will fade back to flesh color within minutes after applying the moisturizer. Right out of the shower, you just look like you have a rosie complexion. The real fun takes a few days. By that night the skin gets tight and may even still burn a bit. If you experience too much discomfort, a wash-cloth soaked in the baking soda solution is cooling. By the following day, it’s really tight and the areas with the most dead skin will look sort of leather- like. Put on a good sunblock too because this process will make you more susceptible to sun damage. This isn’t the most attractive thing but if you keep your skin moisturized you should be able to go about the day-to-day and not look like you’ve done a peel. I applied the coconut oil several times throughout the day. By day 3, you should be peeling. The effect is similar to getting a sun burn on your face. You’ll be tempted to peel it off but DON’T under any circumstances. You want this dead skin to be released naturally, if you pull it off you run the risk of red spots or even hyper-pigmentation. By day 4, most of this skin should be gone. It should slough off pretty easy in the shower. I just rub my hands over my face gently and you can feel it coming off. By day 5, you should only have a few spots where it hasn’t come off yet. I almost forgot to mention how to properly clean and dry your brushes. Otherwise, they’ll be ruined. For the sponge brush, a mild soap and water will do the trick. Just make sure you wash it out of the sponge completely. The fan brush, I use baby-shampoo and olive-oil, otherwise you’ll dry it out and render it utterly useless. Make sure you dry at an angle so the moisture is drawn out of the brush. If you leave them flat, the water will damage the glue holding it to the rod. If you don’t have either of these brushes, no worries. You can use a cotton pad but I recommend that you wear rubber gloves. The acid will soak through and you don’t want it to damage the skin on your fingers. I like the brush application because it gives me more control. Just be cautious to tap off any excess acid before you apply to your face. Once I made the mistake of letting it drip into my nose, ouch! That burned and peeling inside your nose is gross. If you don’t pay attention to it you look like you have a boogey in your nose. No one likes a boogey nose! This is my Day 5 photo. At this point, I have a few flaky/peeling spots around my nose, forehead and along the cheek bones but all in all, it’s pretty much done. By tomorrow, it should be fairly smooth with no more peeling and I can go back to my normal make-up routine. A week without concealer & foundation is bleh. I opt for a light-tinted moisturizer that won’t clog my pores over a ‘mask’ of heavy foundation any day. My most recent fave is Youthful Wear by Physicians Formula. It’s light, doesn’t make you break out, looks smooth and not over done in natural lighting and gives you enough coverage to even out tone. I love the powder, some days I can wear just that and it’s enough. Garnier Skin Renew is better than most BB or CC creams I’ve tried. Aside from being a great concealer around the eyes, it’s great for spot treatments. 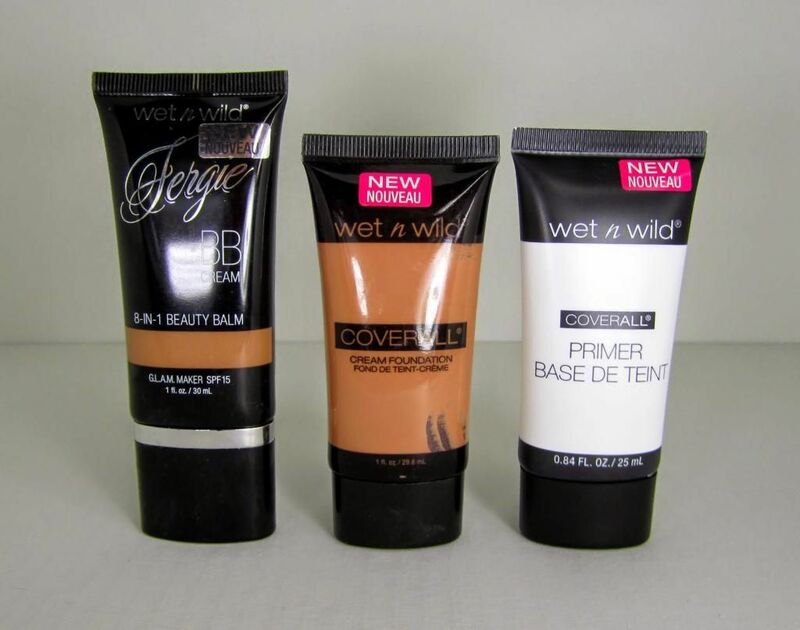 Garnier’s BB Cream just makes my face look greasy, I much prefer Wet n’ Wild’s BB Cream (Fergie edition), it’s better than most BB creams out there and has SPF 15 protection. My pores, while slightly tighter, still look uneven and I have scaring from childhood chicken-pox; so the foundation will smooth all that out and I can use concealer around the eyes to lighten the dark areas. Lip gloss and eye-liner isn’t going to cut it. That’s pretty much what I’ve been sporting all week. At 41, slight wrinkles under the eyes can show your age but if you take care of your skin you can slow the ‘old’ look for a while. What does ‘aging gracefully’ even mean? There is no grace it letting your face go to pot or looking like you’ve been rode hard and put up dry. Screw all that. I’m all for any Science that will put a halt to looking like an alligator hand-bag! This entry was posted in Sin Jones and tagged Chemical Peel, Skin Care, TCA, Vanity. Bookmark the permalink. We Must Restrain you Pope Fraize! Check out some cool cosmetic tips by a good friend of ours SIN Jones. Not sure if it works for guys but I did pose the question to her about that.